Merger approval decisions of national antitrust authorities have important effects on other jurisdictions. For example, the merger of two U.S. pharmaceutical companies may lead to higher drugs prices in Europe, or affect the worldwide level of innovation. As the efficiency gains induced by a merger might be sufficient to outweigh its anti-competitive effect in one country but not in another, conflicts between national authorities may arise. The past two decades have indeed seen a number of high-profile competition cases which illustrate this potential for conflict. Prominent examples include the proposed merger between the two U.S.-based firms General Electric and Honeywell in 2001, the proposed merger of the South African platinum interests of Gencor and Lonrho in 1996, and the attempted joint acquisition of the British-based BOC Group by the French company Air Liquide and the U.S.-based firm Air Products in 2000. In the first two cases, the merger was cleared by the firms’ domestic antitrust authority but blocked by the EU Commission; in the third case, the merger was cleared by the authorities in the EU, Canada and Australia, but effectively blocked by the U.S. Federal Trade Commission. A more recent example is the planned acquisition of the Italian company Metlac by the Dutch company Akzo Nobel, which was cleared by several European antitrust authorities but blocked by the UK Competition Commission in 2012. In their recent paper entitled “Merger Policy in a Quantitative Model of International Trade” , Professors Volker Nocke (UCLA), Holger Breinlich (University of Nottingham) and Nicolas Schutz (University of Mannheim) develop a quantitative framework that can be used to understand the determinants of conflict between merger authorities, to analyze which types of conflicts are likely to arise in practice, and to provide a sense of the economic importance of these conflicts. These insights are then used to derive implications for the coordination of national merger and trade policies. Consider a merger between two firms located in the same country and exporting to another country. In both the home and foreign country, the merger’s impact on domestic consumer welfare is determined by two opposing forces: On the one hand, the merger raises market power; on the other hand, the merger gives rise to synergies that lower costs. The resulting net effect depends on the characteristics of the merger, market conditions and trade costs. As the merger may raise prices in one country but reduce it in the other, the approval incentives of the national authorities are not fully aligned. 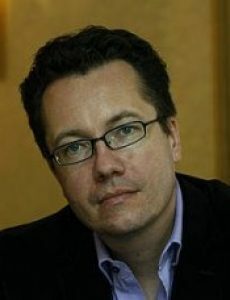 As the paper shows, whether merger control based on domestic consumer welfare is too tough or too lenient from the viewpoint of foreign consumers is shown to depend solely on an industry-level “conflict statistic” that summarizes the relative competitiveness of the domestic and foreign markets, adjusting for trade costs. To shed light on which types of conflict are likely to be relevant in practice, Professor Nocke and his coauthors calibrate the model using industry-level data from the United States and Canada. The results show that at the present levels of trade costs, mergers that benefit domestic consumers also benefit foreign consumers in the vast majority of sectors. Hence, whether or not national authorities have effective veto rights over mergers involving foreign firms matters surprisingly little at current levels of trade costs. However, the calibrations also reveal that if trade costs keep falling, conflicts will arise in which the domestic authority wants to approve a merger whereas the foreign authority wants to block it to prevent harm to its consumers. To the extent that trade costs keep falling, this means that veto rights over foreign mergers will become more important, and the introduction of a (hypothetical) supra-national agency will become more valuable.